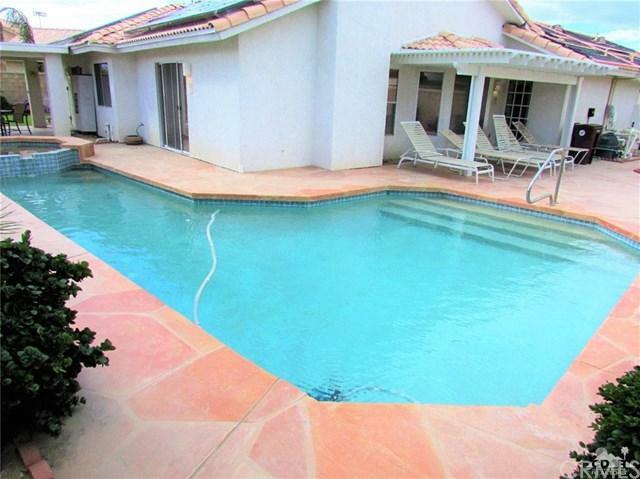 This private home has a pool with cascading spa and mountain views from the south facing patio. The extensive entertaining area features covered patios which have been professionally textured. The pool/spa feature upgraded pebble tech surface. 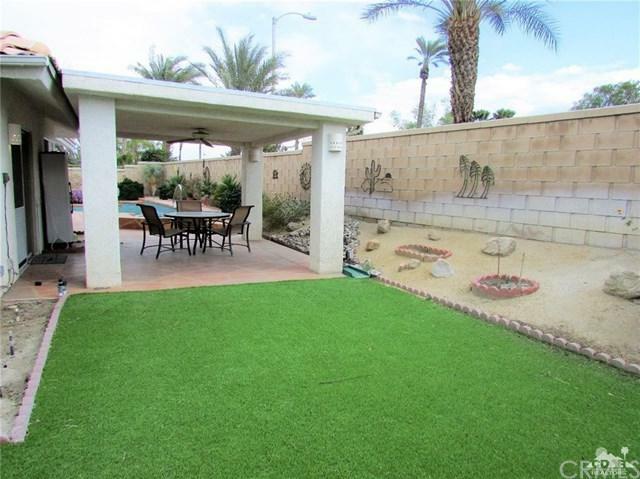 Yard is desert low maintenance. Benefit from maximum energy efficiency with a SOLAR system and evaporative cooler. 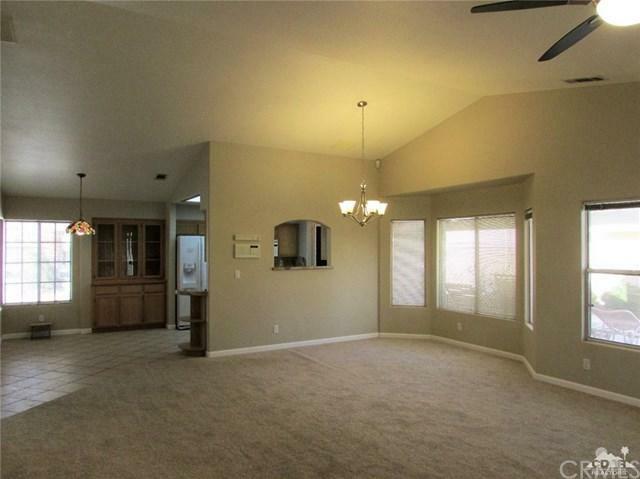 The interior features newer paint, carpet, vaulted ceilings, ceiling fans and more. Enjoy those cool winter evenings around the fireplace. Each of the 4 bedrooms have vaulted ceilings and ceiling fans. Extensive use of slab granite in the kitchen, baths and on the fireplace. The spacious interior laundry room has additional storage. 3 car garage has room for all the toys and more. Century Park is close by, and the city soccer field is just around the corner. Great neighborhood for families near high performing schools. 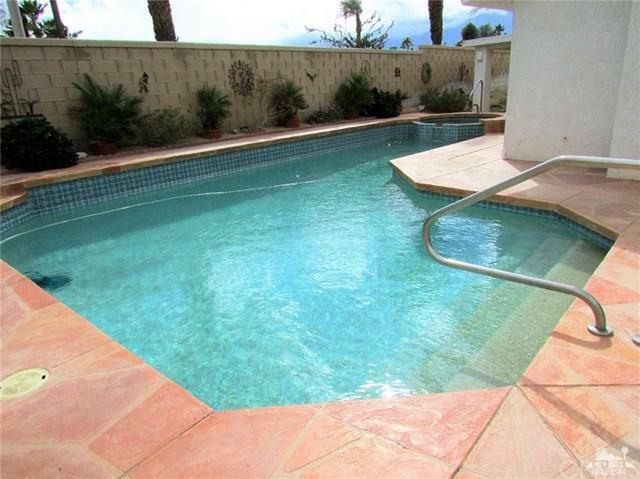 Also close to shopping, restaurants and the freeway. Utility lines underground in this subdivision.